Happy Black Friday!!! Is everyone shopping today? Well fear not! 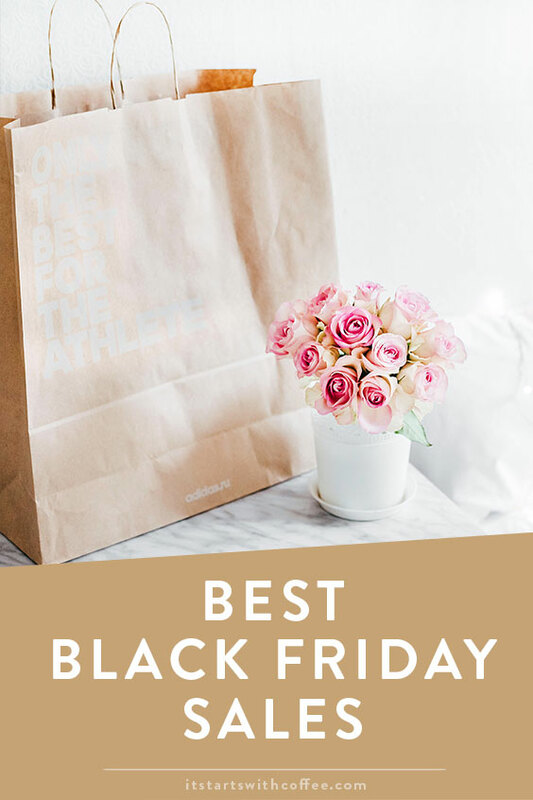 I have the best Black Friday sales for you guys rounded up! Plus my favorites from each sale! I plan to do all my shopping online today and snuggle with my boys! I hope everyone had a great Thanksgiving! We saw my mom and my dads family. Tomorrow we are heading to Houston for the day to spend the day with Andrew’s family! Happy shopping! Make sure to sign up for Ebates to earn cash back on each purchase! Why would you not!! You can probably earn enough cash back to buy yourself a few treats too! Plus make sure to see an awesome deal for holiday travel below! You won’t be sorry! With holiday time upon us I know a lot of people travel! I wanted to share a great deal for holiday travel with you guys. 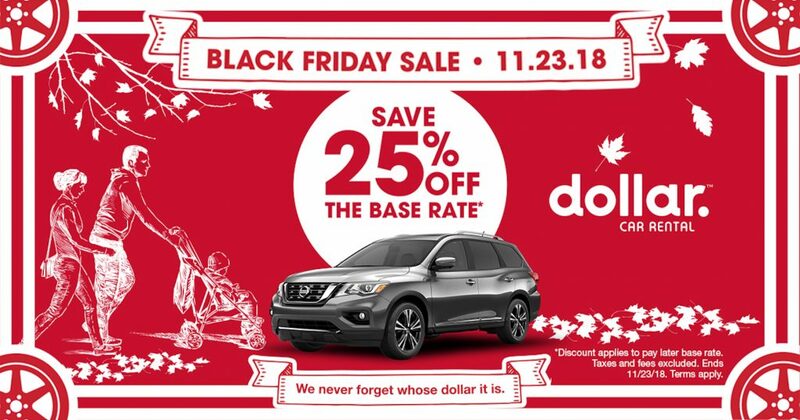 Dollar Car Rental is offering an amazing black Friday deal! 25% off your base rate reservation*!! I know for us we go back and forth to see family and this kind of savings is so great. Especially for those flying somewhere needing a car to get around. So many of my friends have family in other parts of the country so I know this deal would be amazing for them! You can save now and have this amazing deal for all of your holiday travel! Just use code 101387 when you reserve! Nordstrom: No code needed half year sale! *Discount applies to pay later base rate. Taxes and fees excluded. Ends 11/23/18. Terms Apply. A couple of things I hate about Black Friday sales , malls and missing out on the deals. There are some great deals on Black Friday but sometimes finding who has them it can be easy to miss with so many out there. Thank you for putting this together for us. We’re headed out to the mall right now to search down our own Black Friday sales! Heaven help us! I picked up some Mario Badescu and Yes To stuff from Ulta! So excited! There are always some wonderful deals on Black Friday! I love all of the online sales because I don’t do the stores on this crazy day! We spent the afternoon at the beach and watching our undefeated UCF Knights win again!! Those are truly great picks for black Friday. My older daughter wanted some Sephora article and I might get the JCrews ones. Thanks for sharing. I too prefer shopping online for most things. My husband isn’t quite as thrilled as he delivers the packages people purchase online and this is their busiest season of all. Good money but we won’t see much of him until after peak is done and over. I do like have posts like these where a bunch of hot items are listed in one place. IT make things much easier. Thank you for taking the time to do this. Happy Holidays. as soon as I found out about the old Navy sale I ran out the doors! lmao I love Old Navy. Great black friday gift ideas. You’ll find me shopping for online deals. Great deals on such things that let you wants to buy them so bad. I don’t think I will get something this time haha, thanks for sharing though. I did not take advantage of the Black Friday Sale this year because the budget is tight right now and most of our earnings go to paying medical bills and buying prescription meds. Hopefully we get back to our healthy selves soon. I haven’t had enough time to tackle all the shopping I’d planned to do. I did get some goodies from the Gap though. I did no black friday shopping this year. My husband did a bit on amazon but that’s about it. I have never bought anything really on black friday. But I bought something on wednesday at 40%, then it went to 50% I regret I didn’t wait till friday lol. There are so many great sales around this year! Thank you so much for sharing all of these wonderful offers! Awesome, there’s some great deals in there! The other day I was talking to somebody and they were telling me it’s so easy for a lot of stores to give great discounts, because they have black Friday products specifically made that are cheaper than usual. These are great deal! There is a lot of stuff that I really want! Let me find it above, this all are great. I haven’t seen many of these, great deals!! I love Black Friday sales and the fantastic deals that are offered. I loved the Macy’s and Sephora sales the most! There are some brilliant deals around. I loved Beauty Bay’s sale but I agree that Amazon also had good sales. That was a great deal and many products to choose of those are so beautiful fabulous design. Too bad that I saw your post late. This is such a great list of Black Friday deals. Unfortunately, I forgot to check out Gap’s and Old Navy’s website. Luckily, I was able to get InstaPot from Target and a lot of Christmas presents from Amazon. All these offers were amazing! In fact I usually shop most of Christmas gifts on this date and take advantage of the deals! Wow. those are really good deals and those items are really beautiful. This is something that all shoppers will really love. Black Friday sales with Ebates deals are the best. I saved a lot on buying holiday gifts with these discounts. These are fantastic Black Friday deals. We love so many of these items.